Chamberlain to Governor Coburn regarding the actions of the 20th Maine at Gettysburg, Lt. Col. Gilmore, and the lack of medical staff. "Our toilsome & hurried marches broke down a great many and I have had to be surgeon & father as well as Colonel." Chamberlain, Joshua Lawrence and Coburn, Abner, "Letter from Chamberlain to Governor Coburn after Gettysburg, July 21, 1863" (1863). 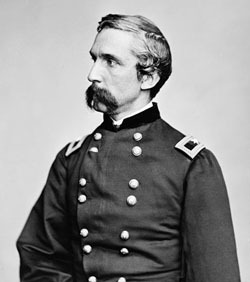 Joshua L. Chamberlain Correspondence. 13.